With the support of the Austrian Federal Ministry for Agriculture, Forestry, Environment and Water Management (BLMFUW), ECREEE solicited the technical expertise of the Universite Cheikh Anta Diop de Dakar- Centre d´Estudes et de Recherche sur les Energies Renouvalables (CERER) to undertake hands-on training for local cookstove artisans in Island of Santiago, Cabo Verde. This workshop is one of the 2017 WACCA activities planned for specified countries in the ECOWAS region to undertake capacity building activities on design and construction of modern and efficient cookstoves. With the support of the Austrian Federal Ministry for Agriculture, Forestry, Environment and Water Management (BLMFUW), ECREEE collaborated with the Global Bioenergy Partnership (GBEP) and hosted the 5th GBEP Bioenergy Week in the ECOWAS region in Accra, Ghana (5th ECOWAS/GBEP Bioenergy Week). The event opened on the 22 June 2017 at the Fiesta Royale Hotel with high participation. Following the Austrian World Summit, ECREEE signed a high-level partnership with R20, in order to better carry out the value chain of identification, development and financing of sub-national green infrastructure projects. 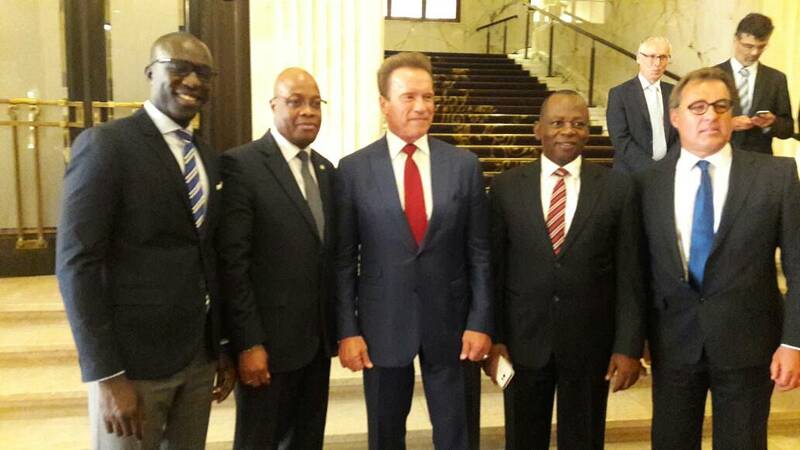 After the signing, these partners were received by the R20 Founding Chair, Mr. Arnold Schwarzenegger, who personally thanked them for their contribution to furthering the mission. From March 27 to 31, fifteen stove producers from the 5 Anglophone countries in ECOWAS will convene in Accra, the capital of Ghana to participate in the capacity building on institutional cookstoves (ICS) construction. 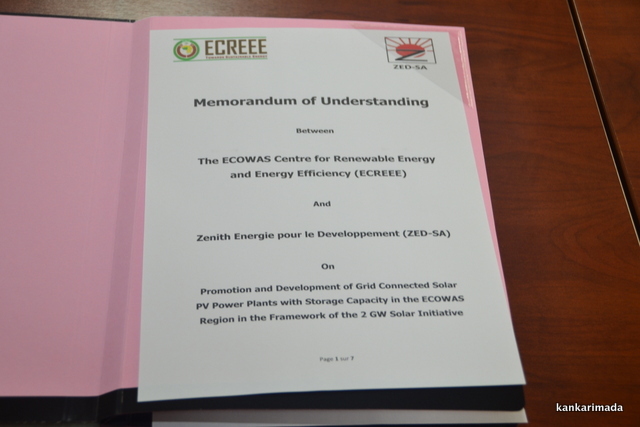 The ECOWAS Center for Renewable Energy and Energy Efficiency (ECREEE)and ZED SA, signed a partnership agreement to deliver sustainable energy to the region via the 2 GW Solar Initiative, which itself is a sub-component of the West African Clean Energy Corridor (WACEC). On 28 September 2015, ECREEE launched a call for research proposals in policy research. The call was launched under the framework of the ECOWAS Initiative on Youth Leadership Development in Energy, which is one of the five high-impact initiatives of the ECOWAS Programme on Gender Mainstreaming in Energy Access (ECOW-GEN).